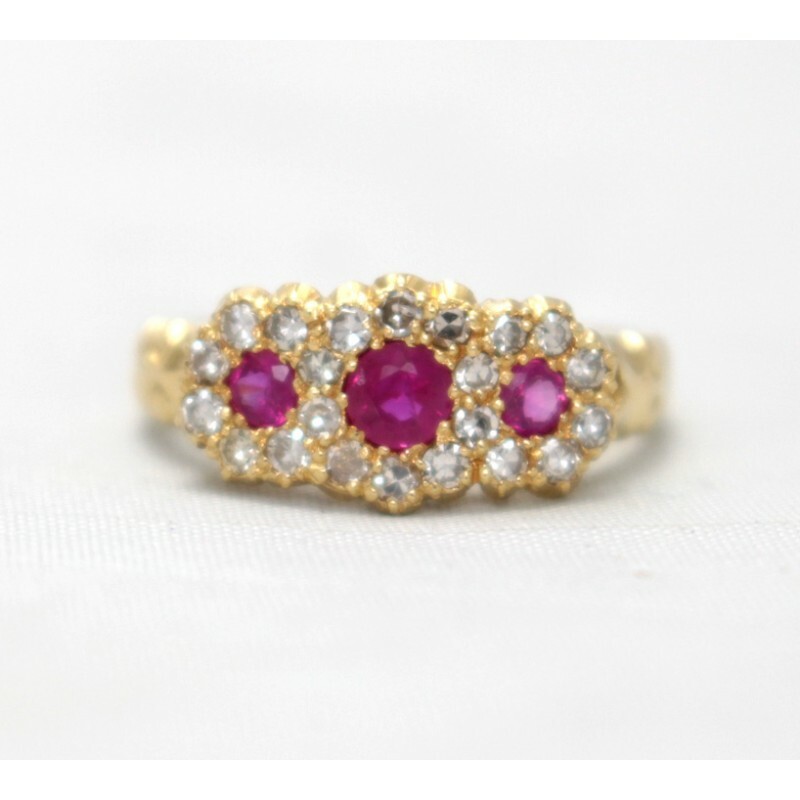 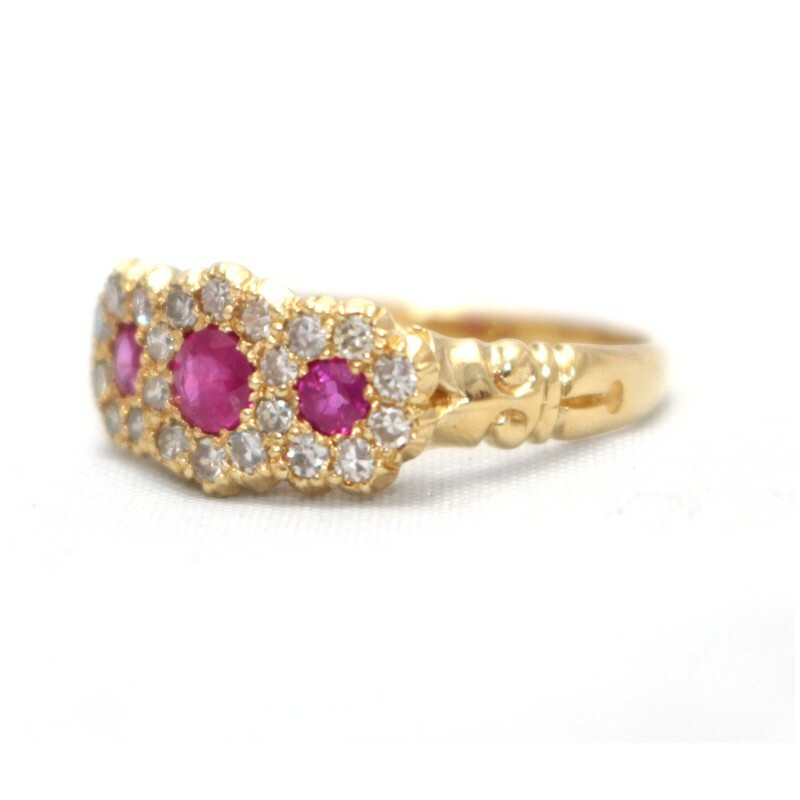 This gorgeous ring features three round cut rubies surrounded with old round cut diamonds. 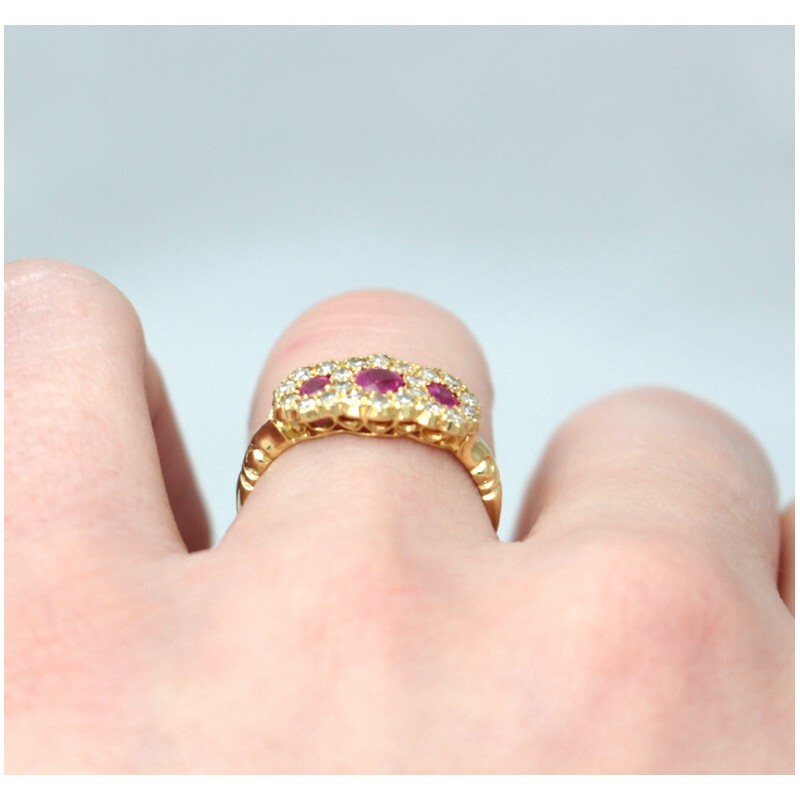 All set in delicate claw mount and a decorative 18ct yellow gold shank. 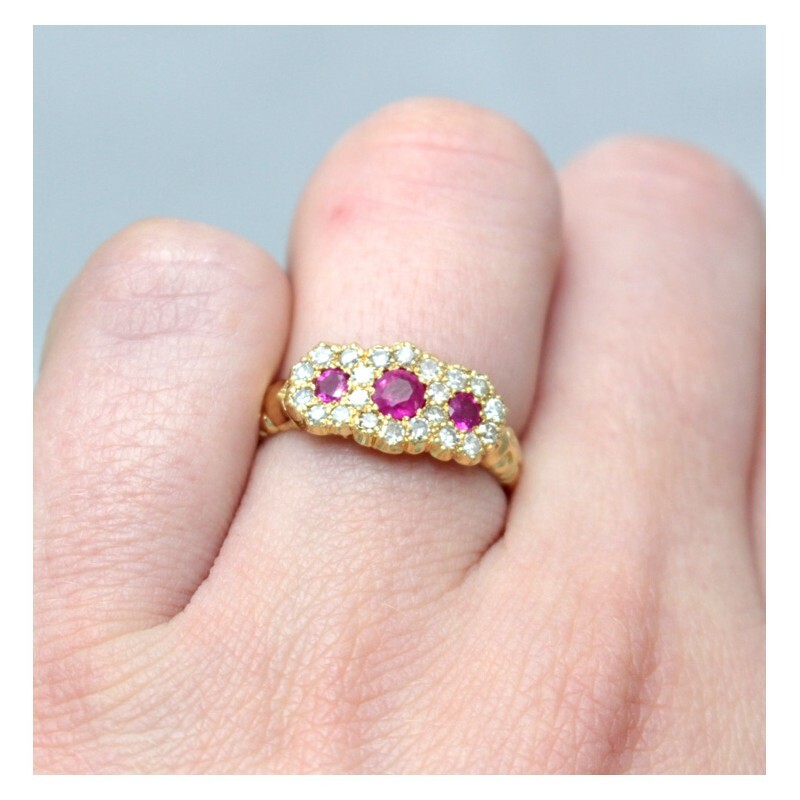 Perfectly flat and smooth to touch, this beautiful ring would be perfect for everyday wear as well as a dress ring.